Successfully ordering a Hatchimal online has become a tricky business the last few weeks. However, with a bit of dedication and help from Stock Informer we can get you over the line. Stock can often sell out in literally minutes. To stand the best chance of successfully ordering it is beneficial to be organised beforehand. 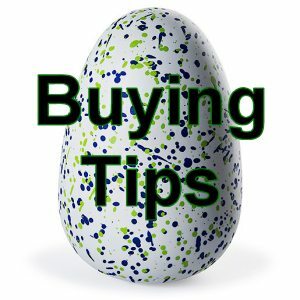 Our Hatchimal Stock Checking webpage auto refreshes itself every minute or so and will display stock when we find it. Leave the webpage open and tick the 'Audible Alerts' option for a loud alarm when new stock is found. A desktop PC is best for this. Please note this will NOT work on a mobile or tablet. Test the alarm works beforehand by using the link on the right hand side of the webpage. if you are in a position to use it, this is the quickest and best way to be alerted to stock. Setup accounts with various retailers beforehand. This will save valuable time typing in your name and address and other details when you want to order quickly before everyone else. If you have an Amazon account, you can login and turn on '1-Click' ordering. This means you can immediately order without having to enter all your login details etc. When stock appears on the Amazon website, you just have to click the "Buy now with 1-Click" button on the right-hand side of the page. Warning - Ensure Amazon actually have stock at the time (i.e. £59.99 dispatched and sold by Amazon.co.uk), otherwise you could end up ordering from a 3rd Party Seller at a higher price. If this happens, you can always login to your account details and immediately cancel the order anyway. "The early bird catches the worm!" A few Retailers often release stock first thing in the morning (i.e. 6am onwards). It therefore sometimes pay to check Stock Informer first thing when you wake up. Usually just after 7pm we see an influx of stock at Argos stores for reservation. This is due to previous reservations not being taken up and becoming free again. Use our Argos Hatchimal Store Stock Checker to help you locate availability.